It’s the time of year when I cringe every time I open my e-mail. Pourquoi? Here’s a sample of the kind of messages I get in June, July, and August. 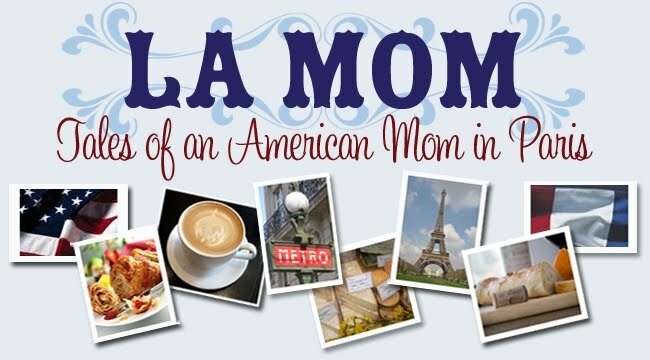 That’s right, La Mom is everybody’s BFF when it comes to finding a place to crash in prime tourist season. Hiya, La Mom! It's been soooo long since we last touched base! I’ll be coming to Paris with a friend of mine in June and it would be great to see you. How about we stay with you from the 15th – 27th? Whoa, let’s back up a minute, shall we? Missouri Miss and I were in the same Wednesday afternoon playgroup for about 6 months. That's how long her hubby needed to figure out that it took more than a couple of drinks and a round of golf to do business with the Frenchies and hightail it back to Springfield. No big loss – Missouri Miss was too loud, too pushy, and her twin daughters liked to take turns spitting in Small Fry’s hair. At her leaving ‘do, I quite happily lifted my glass of bubbly and toasted – to her imminent departure. And as for staying with me? Let me point out that while I’m a really lucky gal to have a spacious Parisian apartment, it’s still a Parisian apartment – not some 4000 square foot McMansion. Our so-called “guest room” is also an office, a laundry room, and happens to be smaller than most Americans’ walk-in closets. P.S. My friend has a little problem sleeping and walking long distances, so your place will be perfect since it’s so close to the Métro. Um, right. Please bring your insomniac friend with bunion issues to the pedestrian capital of Europe. Can’t wait to meet her. 1. You live in Idaho, Nebraska, or West Virginia. La Mom is not interested in a house exchange. However, if you are a resident of Palm Beach or Manhattan, let’s talk. 2. For residents of Palm Beach and Manhattan (or other suitable location), La Mom does not run a taxi service. Hop on a Velib’ bike, the Métro, or (God forbid) hoof it. 3. Laundry is self-serve. I’ll leave the washing machine manual and a French-English dictionary out in the kitchen. Just remember not to boil your jeans at 95°C (203°F) and don’t forget we don’t have a dryer, so it’ll probably take the entire week to sêcher your linge anyway. Might as well wait until you get back home. 4. If you’re a size four and don’t mind walking around La Mom’s apartment in nothing but Chantal Thomass lingerie, let’s talk. Do you think it would sound less rude if I put it in French? Damn, I was just going to drop you an e-mail asking if you could house me, a few friends and all of our kids for a couple of weeks. What about a house swap in Cincinnati, OH? You didn't mention Cincinnati, but I'm sure that was a mistake. Having followed your blog for only a few months, your reluctance to run a free flophouse for most North Americans visiting Paris comes as both a surprise and a crushing blow to my personal vacation plans. Are you sure you consider this request rude? Too bad, I was on my way for the summer. I would have brought a gift-a-day - lol! See, this is why I live in Longwood, Florida. No one ever wants to travel to LONGWOOD!! I just can't even imagine inviting myself to stay with some one. Alas, living in Florida I've had my share of those types of emails/calls. Luckily, I turned both extra bedrooms into art studios! Oh that was classic. Your posts are always full of wit and hilarity! And love the extra input from Big Cheese - hahaha. :-) Nice. We also have visitors to our small space in germany, it's lovely but I would add to -my- list, "If you are fortunate enough to stay with us, please remember that this is not a hotel, there is no maid, so please try to be at least a somewhat clean houseguest since I'll be the one cleaning the bathroom after you leave!" That's what you get for living in a desirable location. For some reason I haven't gotten any request to come stay with me in Colorado. Strange right? We get e-mails like that too, but during the year not the summer. Those are my favorite type of people. Wait a minute, Arkansas isn't on that list, I'll be there next week! And I just learned how to make a croque monsieur, too! Ham and cheese for everyone! I often stay with a friend in Paris and I practically grovel the whole time I'm there, I'm so grateful. The last couple of trips I've tried to stay at least a few nights elsewhere just to give her a break. But it is so nice to stay with friends, at least for a bit, and really catch up. My friend works full-time and has a school-aged child, so she can't just blow off work to hang out with me -- the best time for us to spend together is in the evenings after dinner, at home. But I fold my towels and rinse my coffee cups, I swear. Ha! Funny post- my dear friend is now living in Hawaii- being new to the area, she's looking forward to having visitors. We'll see what she has to say about it after the summer! Oh! La Mom!! I have a real good time reading your blog! I am a Canadian Mom living in Paris since 8 months and I could not describe better the Maman Français then you do!